Cincinnati home sales (closings) were significant last month; reaching a 6-year high. January home sales totaled 1,294 compared to 999 from a year ago, up 29.5%. This represents 19 consecutive months of increased sales. Sales in January 2013 compared to December 2012 were down 6.8%, which is typical of the season. January’s average home selling price was $139,213 vs. $137,916 a year earlier, for a 0.9% increase. The average price has increased year-over-year for 11 consecutive months. Inventory of homes for sale continued its declining trend to 9,451 from 11,003 a year ago, down 14.1%. This means that homes for sale — newly added to the current inventory — if priced properly and in good condition, are in a position to sell faster. It is common for inventory to start low and build as the year goes on. “January home sales came in like a lion to begin 2013,” said Kevin Kelly, president of the Cincinnati Area Board of Realtors. “This is the best January in number of sales in 6 years. 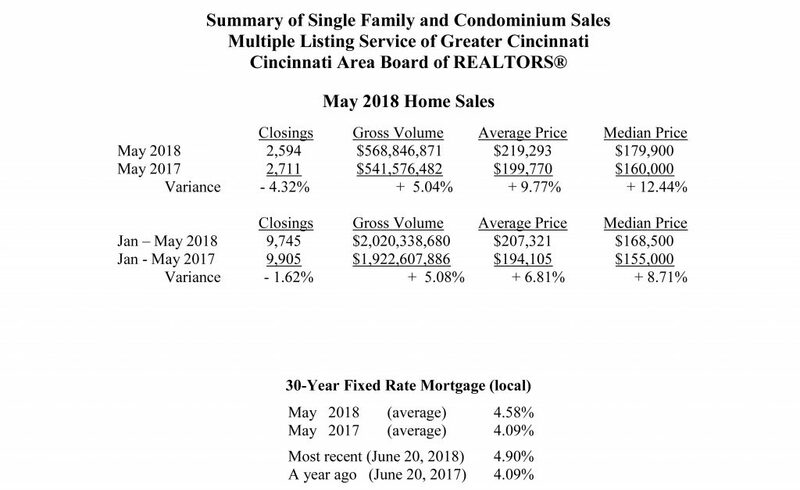 The continued, upward momentum of Cincinnati home sales is a strong indicator that our local economy is recovering.” Kelly said that interest rates are maintaining their historic lows, the inventory of homes remains low, and the number of buyers looking for their desired home is increasing. “These are factors that help the housing market continue its positive momentum,” Kelly concluded. Nationwide, January home sales were up 0.4% from December on a seasonally adjusted basis and were up 9.1 % from January 2012. January home sales marked the 19th consecutive month where home sales – nationwide and statewide – also improved over a year ago.